For more than 30 years, Austin Air Systems has developed a reputation for producing some of the most advanced air cleaners on the market. 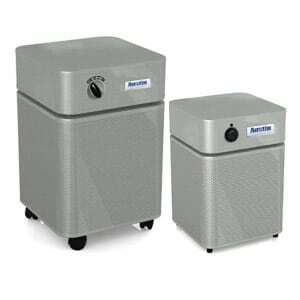 In fact, Austin Air purifiers are among the top choice recommended by physicians and health specialists due to their True Medical HEPA filters. This company was also selected by FEMA and the Red Cross to help address the air quality concerns in New York after the tragedy that took place on Sept. 11, 2001. Austin Air knows first hand how wide the range is for different types of air pollution, so they’ve developed several product lines to meet specific air quality concerns. 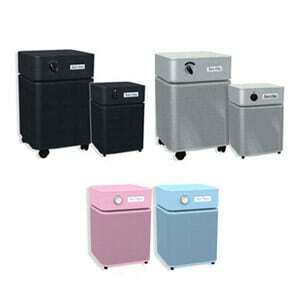 In this review, we’ll shed some light on what the similarities and differences are for each Austin Air purifier model. 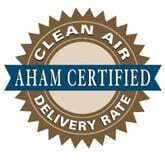 By the time you’re done reading this review, you’ll know exactly which air purifier will work best for your needs. Below, is a list of the names and model numbers for each of the product lines that Austin Air has developed. Take note that some versions also include a junior model. As you just saw above, there are six different Austin Air product lines with three including an additional junior model. With so many different products to choose from, it may at first seem confusing how to decide which one to get. Fortunately, all of these models share several features in common, which helps make the decision process easier. The Austin Air HealthMate Standard, HealthMate Plus and Allergy Machine product lines all include a regular size and junior size model. While each version operates the same there are a few slight differences. In this review, we’ve outlined these difference below, but the only aspect you should concern yourself with is the room size coverage. Why? Because, all of the other specifications have been modified to support that major feature. In short, you should choose a regular size model if you need to purify a very large space, up to 1,500 sq. ft. and a junior size model for anything less than 700 sq. ft.
Room Size Coverage: 1,500 sq. ft. Amount of Carbon: 15 lbs. True HEPA Filter Size: 60 sq. ft.
Room Size Coverage: 700 sq. ft. Amount of Carbon: 6.5 lbs. True HEPA Filter Size: 30 sq. ft.
Up until this point, you’ve learned that all of the Austin Air product lines share functions and features, with the only major difference being the maximum room size coverage that each type (regular or junior) can handle. Now, the real striking difference between each of the product lines is the carbon filter configuration. This feature is what determines how the filter handles chemicals, gases, and odors and is what really sets each model apart. In order to help you figure out which air purifier is best for your specific needs we’ve highlighted below the most important aspects you should consider. Uses 15 lbs. of carbon, however the filter is impregnated with a special blend of potassium iodide for additional absorption of Volatile Organic Compounds (VOCs), including formaldehyde. Uses a military-grade carbon cloth instead of 15 lbs. of carbon. This cloth is placed after the True HEPA filter for more efficient gas removal. We hope that this Austin Air purifier review has helped you discover which product would be best for your needs at home. As you saw throughout this review, all of the products lines are practically the same. The only differences are the maximum area coverage between the Standard and Junior models, and the configuration of the Carbon filter for how it handles air pollution. If you’re just looking for an overall great air purifier, we highly recommend the Austin Air HealthMate HM-400. To find out more about other air purifiers on the market, take a look at our air purifier reviews section to learn more.